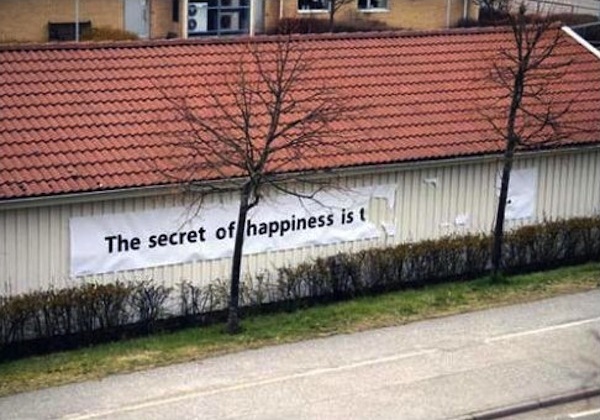 [1 minute self-development] I know, I know, 'the five secrets to happiness' is a bold claim. Well bear with me. Last week I attended Karl Morris's Master Mind Factor event in Manchester. It was great - some outstanding energy bouncing around! One of the things Karl mentioned was an interesting study done on happiness and well-being (pdf link). Researchers looked at as many other studies as they could find, and came up with five conclusions. So... over to the experts. CONNECT WITH OTHERS: With the people around you. With family, friends, colleagues and neighbours. At home, work, school or in your local community. Building these connections will support and enrich you every day. BE ACTIVE: Go for a walk or run. Step outside. Cycle. Play a game. Garden. Dance. Exercising makes you feel good. TAKE NOTICE: Be curious. Catch sight of the beautiful. Remark on the unusual. Notice the changing seasons. Savour the moment, whether you are walking to work, eating lunch or talking to friends. Reflecting on your experiences will help you appreciate what matters to you. Appreciate what matters to you. KEEP LEARNING: Try something new. Rediscover an old interest. Sign up for that course. Take on a different responsibility at work. Fix a bike. Learn to play an instrument or how to cook your favourite food. Learning new things will make you more confident as well as being fun. GIVE TO OTHERS: Do something nice for a friend, or a stranger. Volunteer your time. Look out, as well as in. Seeing yourself, and your happiness, linked to the wider community can be incredibly rewarding and creates connections with the people around you. And Karl's question to us afterwards: What are you good at? And where's the potential improvement? ps - I am following a gluten-free diet for a while. It's not easy, as this pic I took demonstrates. Nov 18 Don't read this blog!